Road, Transport and Bridges Minister Obaidul Qauder on Thursday said the main priority of his work will be to bring back discipline in road and transport sector. 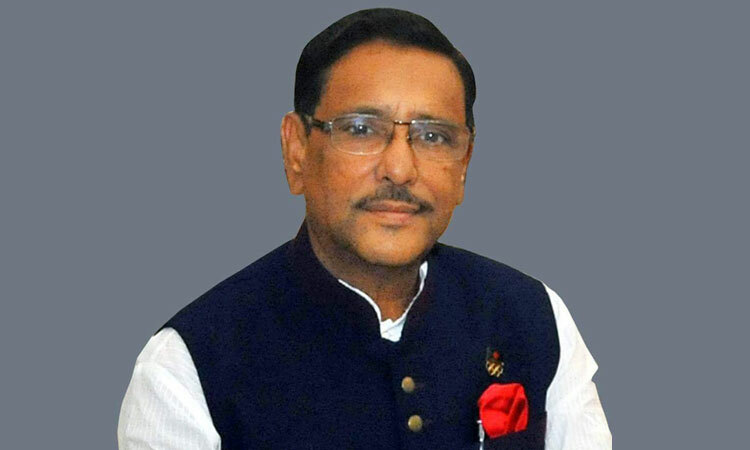 “Everything has to be accomplished in the beginning like ‘killing cat’ on the very first night,” said Quader while talking to reporters at the secretariat. Responding to a question how he will restore discipline, Qauder said he has his own techniques to bring discipline in transport sector and there are some general ideas which are known to all. Small vehicles create chaos on highways and motorcycles have become a new threat, he said adding that motorcycles ply roads recklessly outside the capital, he said. “These problems need to be fixed. But the work is not so easy. If we all work together, it would be possible to solve the problems,” said Quader. The minister said it is now his challenge to finish the ongoing projects, he said adding that work on two important road projects -- Dhaka-Sylhet four-lane and Chattogram-Cox’s four-lane -- will begin soon. The construction work on Dhaka-Sylhet four-lane will start by June and it will take further more time to start that on Chattogram-Cox’s Bazar four-lane project. Besides, the construction work on Gazipur-Elenga four-lane will be finished by June, Quader added.